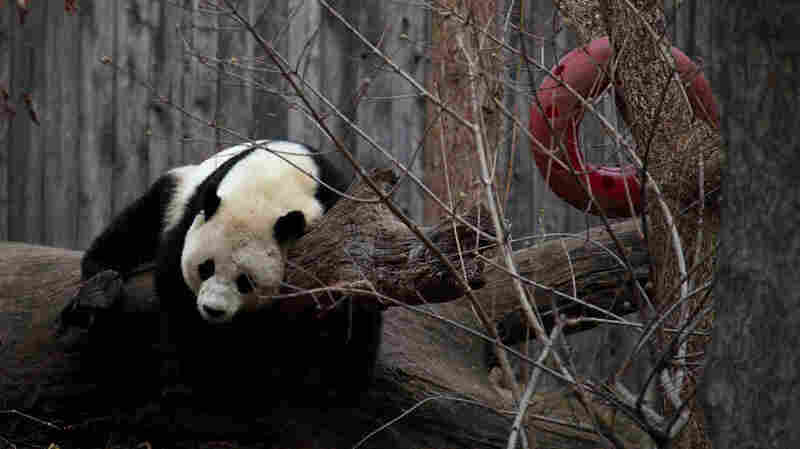 Government Shutdown: Animal Cams Go Dark "It's one thing to potentially mess with my tax return, but it's something a whole lot worse to mess with my panda cam," one fan lamented to NPR. Giant panda Bao Bao was at the Smithsonian National Zoo until February 2017. The partial government shutdown has its long arms in many aspects of people's daily lives. Here is yet another: animal live cams. The zoo receives approximately 70 percent of its funds from the federal government, and because the cams are deemed "nonessential," they are shut off. The Giant Panda Cams usually show Tian Tian, Mei Xiang and Bei Bei eating, playing and even delighting in an occasional snow day. Volunteers also use the cams to collect behavioral data. No need to worry about the animals — they are still being cared for and fed. Still, the switched-off cams are upsetting fans who turn to them for stress relief. Devan Kreitzer, who describes himself as an "avid panda cam watcher," laments to NPR: "It's one thing to potentially mess with my tax return, but it's something a whole lot worse to mess with my panda cam." Other users took to Twitter to express their frustrations. The zoo's elephant, naked mole rat and lion cams are offline as well. The naked mole rat webcam received some attention late last year, during a bloody battle to choose a new queen. Animal cams rose to popularity over the past decade and have become a part of social culture. When Bei Bei, a giant panda at the Smithsonian National Zoo, was born, people flocked to the zoo to catch a glimpse of the cub that had captured their hearts online. The zoo isn't updating its social media during the shutdown either, but you can find plenty of archival panda and other animal footage. Here's hoping we get to see Bei Bei and his friends frolicking in the snow this winter.